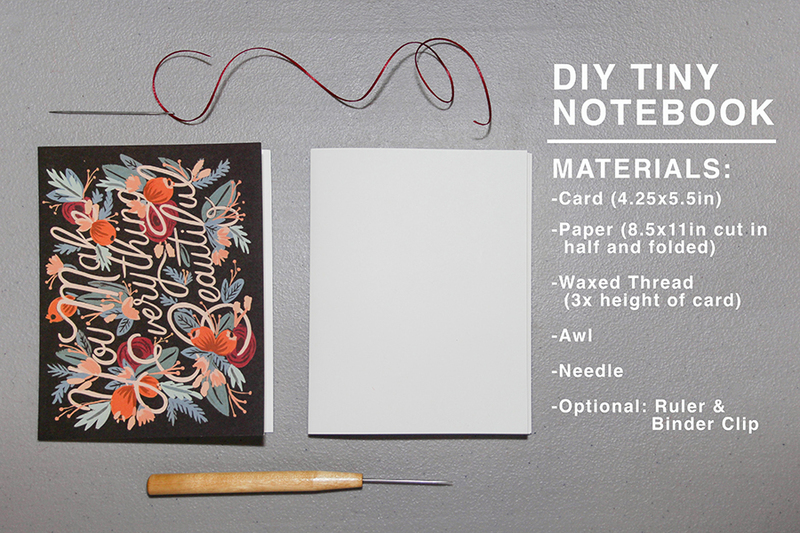 As a little throwback to our January DIY post, we’re doing another journal, but instead of using felt, we’re using a material that you all already have on hand – a lovely greeting card. 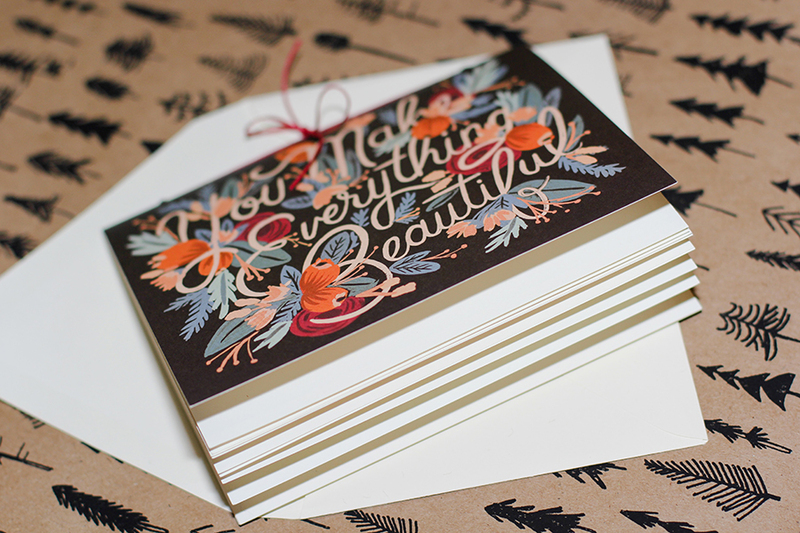 Think, a pretty blank card, a birthday card for a little birthday gift, a wedding or congratulations card for a bridal shower, Mother’s day gift, etc… Jaimé chose some lovelies from Rifle Paper Co. here. 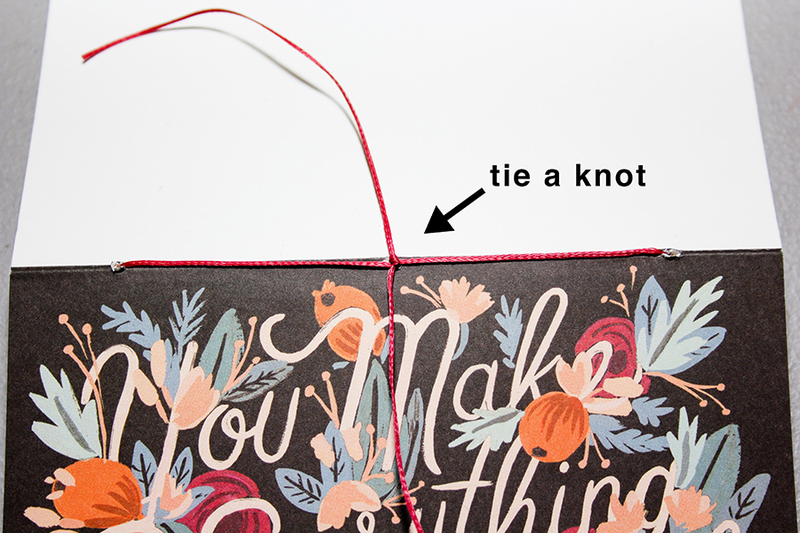 Optional: Start sewing from the inside to have the knot inside. Place under some heavy books to flatten. 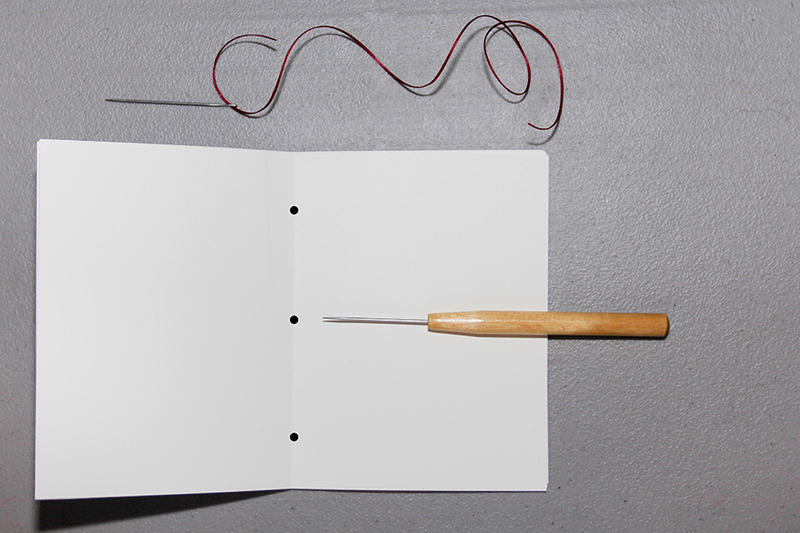 Trim sides with a paper cutter. 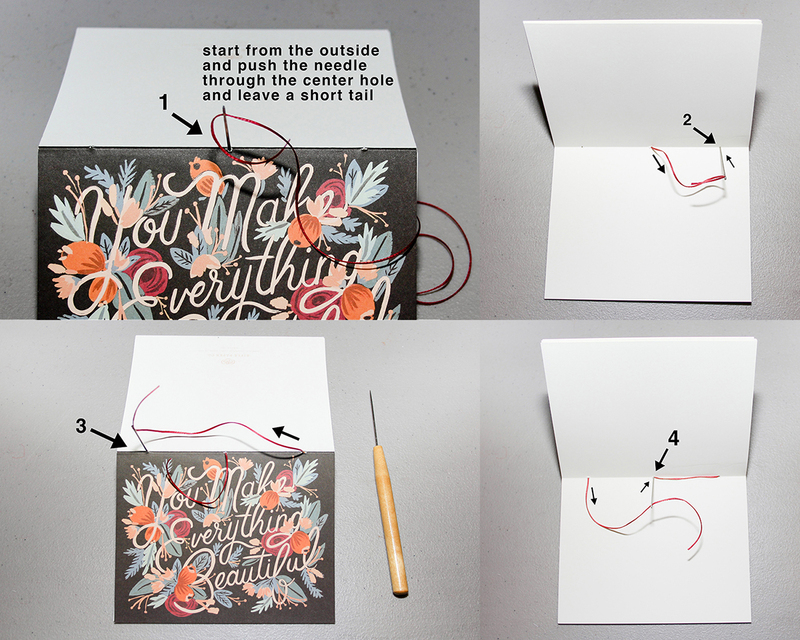 Use staples to bind instead of thread. 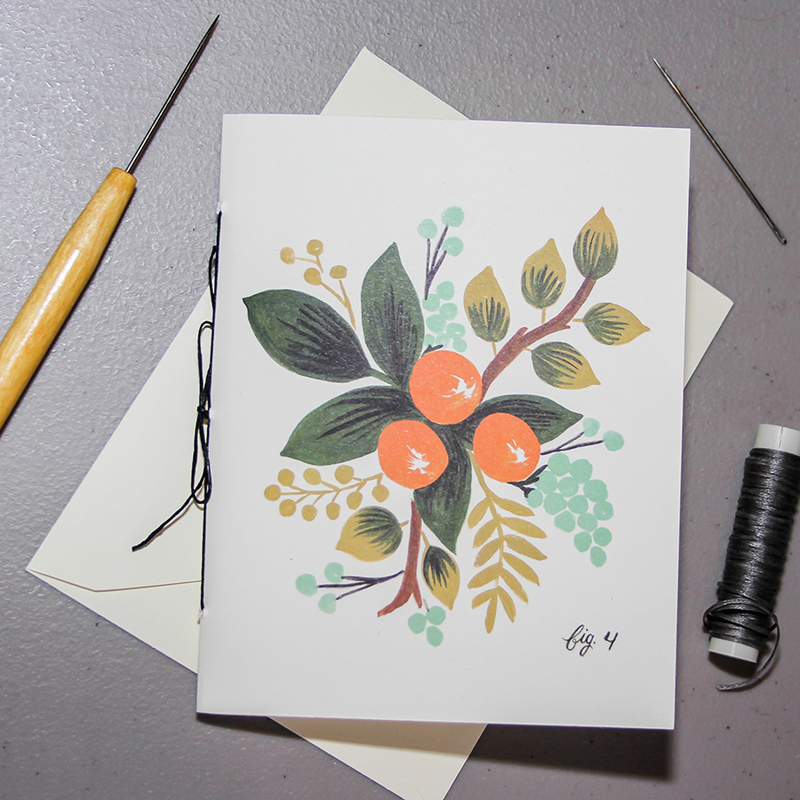 This entry was posted in DIY and tagged diy, notebooks, rifle paper by abbey fowler. Bookmark the permalink.